It’s always nice to hear when people have got big plans! 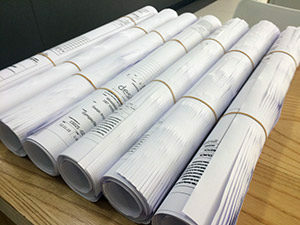 At Wizardz Print & Design, our plan print and copy service is perfect for all your construction, architectural, electrical and mechanical drawings. Simply bring in your plans to be copied and we will copy them while you wait, or email us / drop off your PDF or JPEG or TIFF files and we’ll have them printed as soon as we can (normally while you wait). We have the latest wide format printing equipment to ensure you get the BEST RESULTS. Up to A0 and bigger! Send us your requirements to get a quote using the form on this page.